Live from Brooklyn and streaming on YouTube. Rihanna is premiering her FW18 Savage x Fenty collection tonight in Brooklyn, effectively closing out NYFW. The collection will be immediately available for purchase after the show online and in the luxury British department store chain Harvey Nichols, as well as in an NYC-based pop-up opening tomorrow, September 13. Watch the YouTube livestream of the Savage x Fenty FW18 collection here. 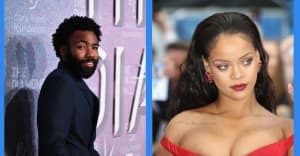 In the hours leading up to the show, Rihanna dropped a few teasers. These are a few models who have been hinting that they’re walking in the show tonight. 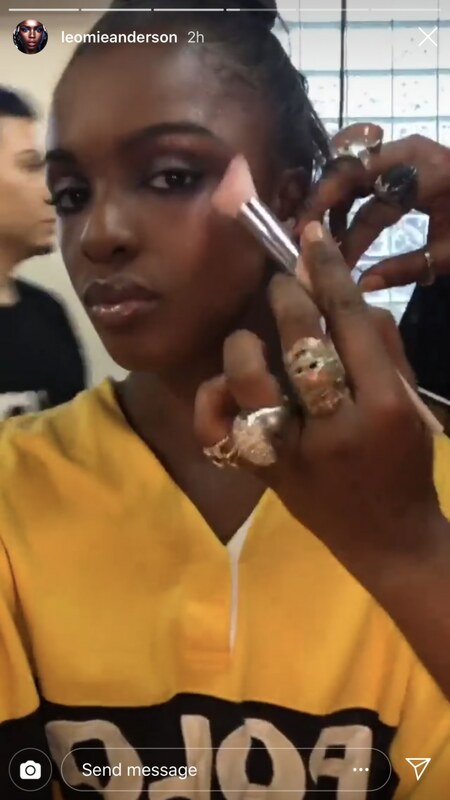 We spy some Fenty Beauty Pro Filt'r bottles. Update (7:45 p.m.): The show hasn't started yet. Update (8:00 p.m.): The YouTube stream start time changed from 7:30 p.m. to 8:15 p.m. It looks like select pieces from the FW 18 collection are already available on the webstore. 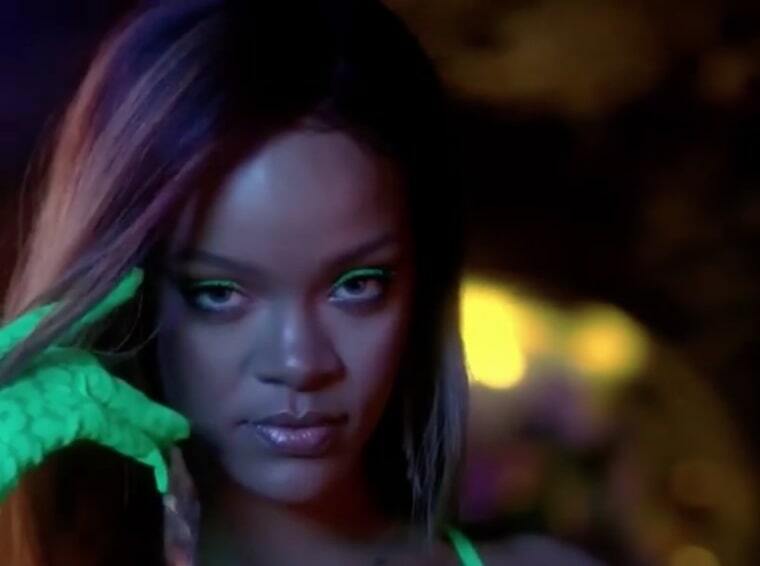 Update (8:15 p.m.): The Savage x Fenty FW18 show is now streaming live on YouTube. The show's beginning with models moving around in the dark. They've also got glow-in-the-dark slippers. "Because" by The Beatles is playing. Based on her Instagram Stories, it looks like choreographer Parris Goebel was involved with the show's choreography. Gigi Hadid is strutting across the greenhouse runway. Bella Hadid looking icy as hell. The models are breaking it down to Catnaap and Sevdaliza. Bad Gal herself is walking across the runway looking like a chic 90s icon.